The Sikh Museum Initiative (SMI) launched the revolutionary Anglo Sikh Wars: Battles, Treaties and Relics exhibition, which opened on Saturday 11th March 2017. 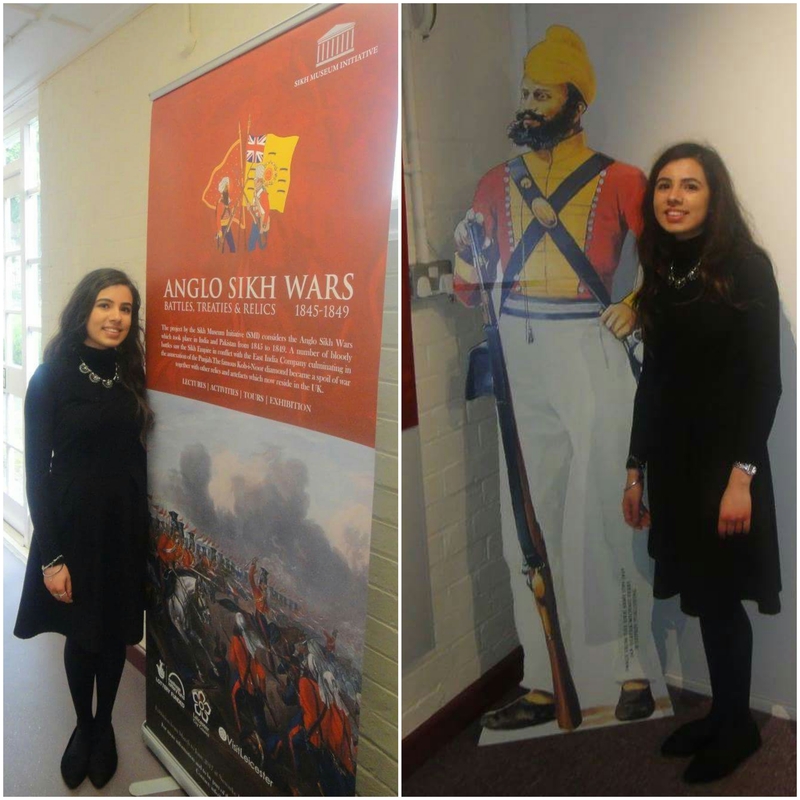 The exhibition showcases a variety of artefacts, relics and art work, enabling people of all ages to obtain a deeper insight into the background, history and significance of the Anglo Sikh Wars. Located in the Newarke Houses Museum in Leicester, the free exhibition is available for the public to explore until Sunday 04th June 2017. The relationship between the British and the Sikhs spans right back to the 18th century, with the most prominent moments being the British Empire and the World Wars; the Sikhs constituted for 25% of the British Indian Army despite only being 1% of the Indian population. 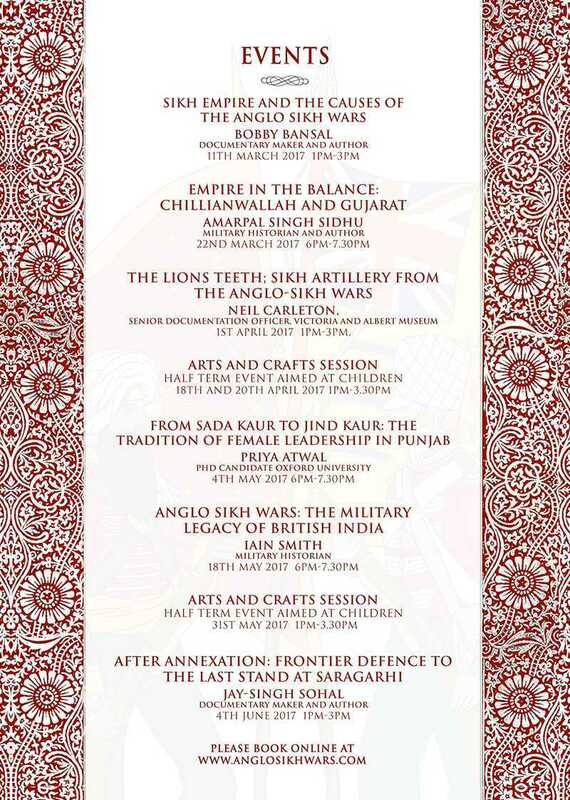 Throughout the past months there have been an array of different talks, lectures and workshops focusing on key parts of the Anglo Sikh Wars, with many special guests, speakers and academics delivering these sessions. Gurinder Singh Mann, the Director of the SMI, Sikh Scholar and Oxford University Press Author, has played a crucial role in the development of this exhibition. He has also appeared on the BBC radio and television, Sikh Channel TV and Akaal Channel TV talking about the project. The SMI is composed of many professionals and it was a team effort to make this project possible. On Friday 12th May 2017, I was delighted to visit the exhibition and it was immediately clear that a substantial proportion of time, effort and dedication had gone into the displays and presentation of it. The vast amount of factual detail was depicted in an effective, efficient and concise manner, enabling visitors to really gain a solid understating of the 1845 – 1849 time period. 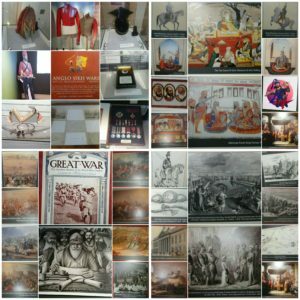 The timeline structure of the exhibition reflected the chronology of era; starting with the East India Company and spanning across Maharaja Ranjit Singh’s reign, 1st Anglo Sikh War (1845 – 1846), 2nd Anglo Sikh War (1848 – 1849), Treaty of Lahore (1849) and finishing on the World Wars. As well as text, the exhibition utilised images, photographs and paintings in order to reconstruct the events. The incorporation of technology also added to the dynamic, making it the first ever 3D augmented reality exhibition. Taran Singh of Taran 3D was instrumental in modelling exhibits. 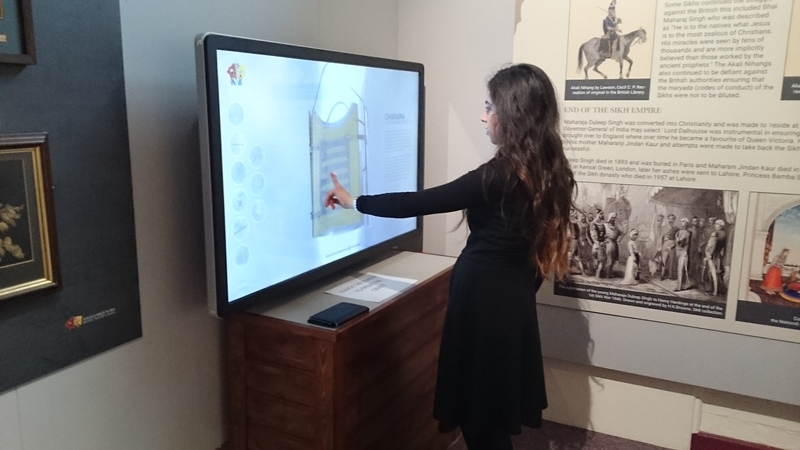 This hands on touch screen feature was a useful addition, especially for children, as users could get a feel for what artefacts such as the Koh-I-Noor diamond, weapons and Guru Gobind Singh Ji’s armour would have looked like. Other items on display include paintings, hand drawn maps of the battles, swords, uniforms and a handwritten pothi containing bani from Sri Guru Granth Sahib and Sri Dasam Granth. This was picked up at the battle of Ferozeshah. 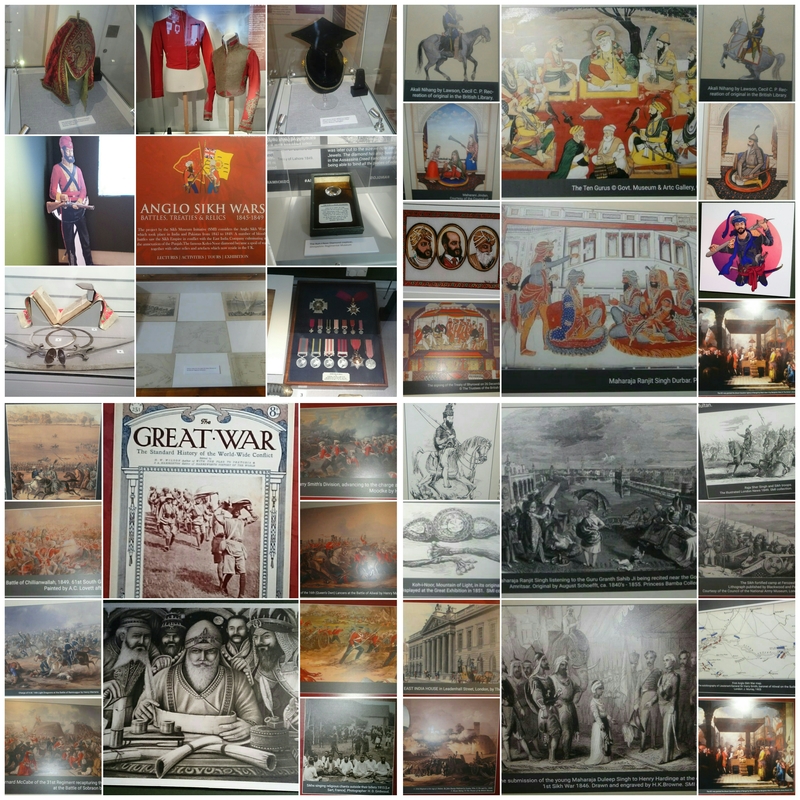 Overall, the exhibition is definitely worth visiting as it enables you to gain a greater understating of British-Sikh history that you may have not necessarily come across before. It also ensures that the upcoming generations are aware of their cultural roots, religious history and heritage. 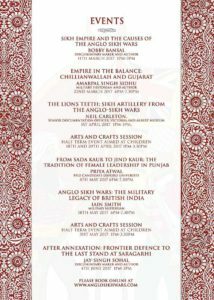 The Anglo Sikh Wars are not taught in schools nor are prevalent on the National Curriculum, therefore it is imperative that the public are aware of this history and keep it alive. 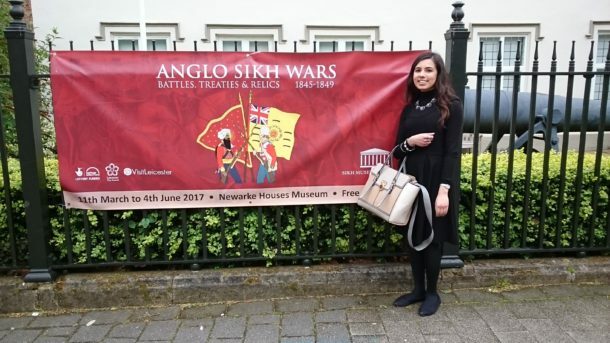 Make sure to visit the SMI‘s Anglo Sikh Wars Exhibition at the Newarke Houses Museum in Leicester before Sunday 04th June 2017.